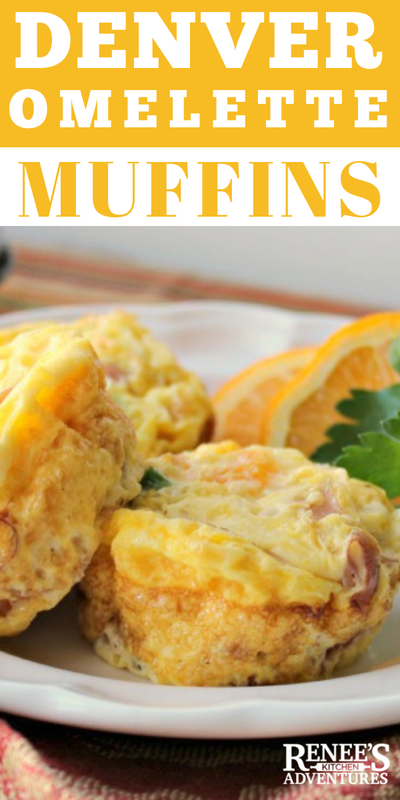 Denver Omelette Muffin Cups are an easy and portable way to enjoy eggs in the morning, afternoon, or anytime of day! The great taste of a Denver Omelette in an on the go, package! I took the recipe for a Denver Omelette from the "Weight Watchers in 20 Minutes" cookbook, spiced it up a bit, and tweaked it to be made into muffin cups. The great thing about these cups is that you can make them up ahead of time and refrigerate them (or freeze them) and then microwave for an on-the-go meal or snack! I used all liquid egg substitute in these, but if you aren't a huge fan of egg substitute, feel free to use all or part real whole eggs. (note that the nutrition information will change if you do not use all egg substitute.) I decided to kick up the flavor of these with some jalapeno pepper and a few dashes of hot sauce, but you can omit if you are not a fan of spice! 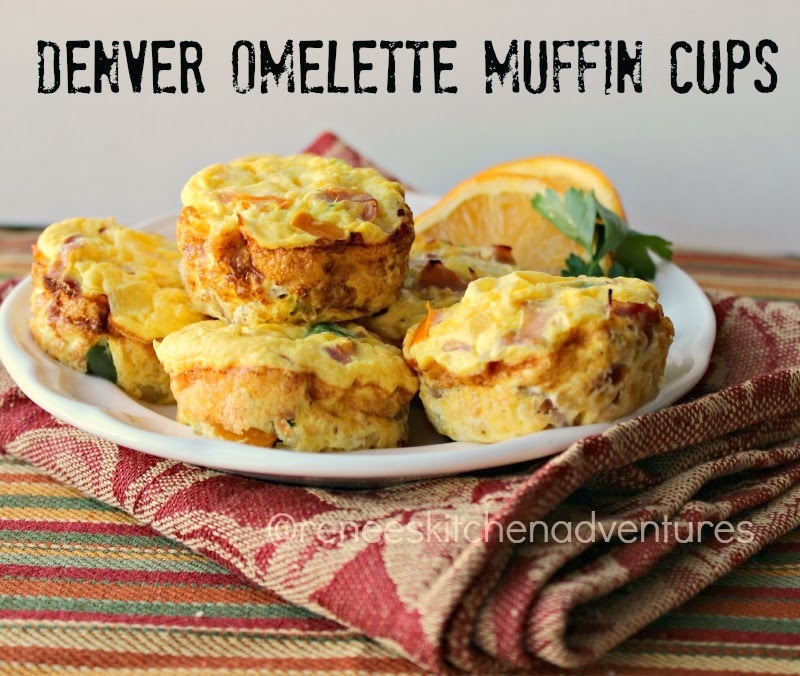 These Denver Omelette Muffin Cups are around 50 calories each! How can you go wrong with that? Heat oven to 400 degrees F. Spray 12 wells of a regular-sized muffin tin with non-stick cooking spray. Set aside. In a large non-stick skillet, misted lightly with olive oil, on med-high heat saute the bell pepper, onion, jalapeno, deli ham, and black pepper until the peppers and onions are soft. (about 5-6 minutes). Take off heat. Add hot sauce, if using. Add 1/4 cup of egg substitute to each well of the prepared muffin tin. Divide up the pepper/ham/onion mixture between all 12 wells filled with egg substitute. Bake for 15-20 minutes, or until the egg is set and the tops are slightly browned. Allow to cool for about 3 minutes before removing from pan. Enjoy warm, or cool completely and refrigerate or freeze for another time. 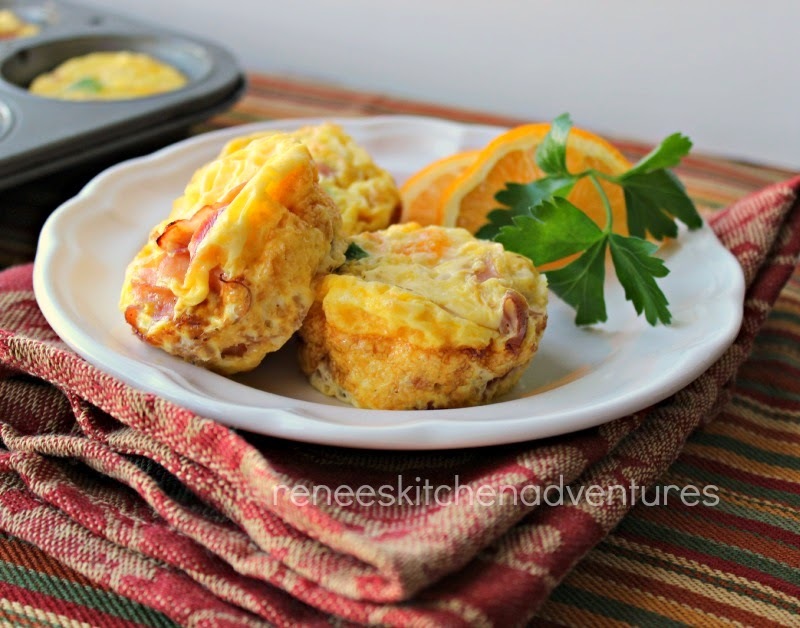 Pin Denver Omelette Muffin Cups to your breakfast boards! I made egg cups for a brunch party we had a while back. 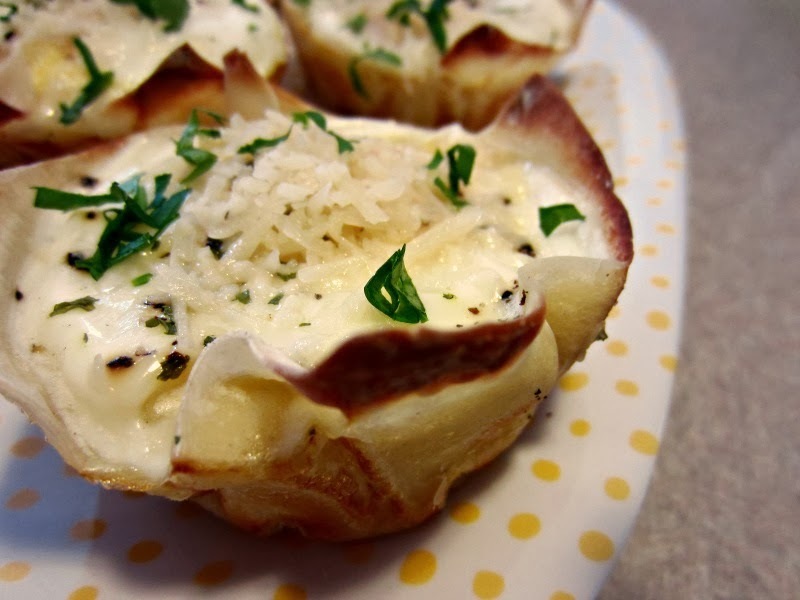 I haven't made them since, and now I"m totally craving them! Eggs are delicious any time of day! They are so easy to make ahead of time, aren't they? I'm looking forward to trying these! Look delicious!! Thanks for stopping by Marion! This is one of those 'well duh' recipes I love to find! Easy, make ahead AND healthy. Thanks for sharing and I will definitely be trying this. These look great -and easy, but I have a 2 questions. How many eggs do I use in place of the substitute? And approximately how long should I microwave one of the egg muffins so it won't be rubbery? Hi Diana! Generally speaking, a 1/4 cup of egg substitute is equal to 1 large whole egg. For microwave reheating, I'd start with 30 seconds on HIGH and increase in 30 second intervals until it's warm enough. Hope this helps!